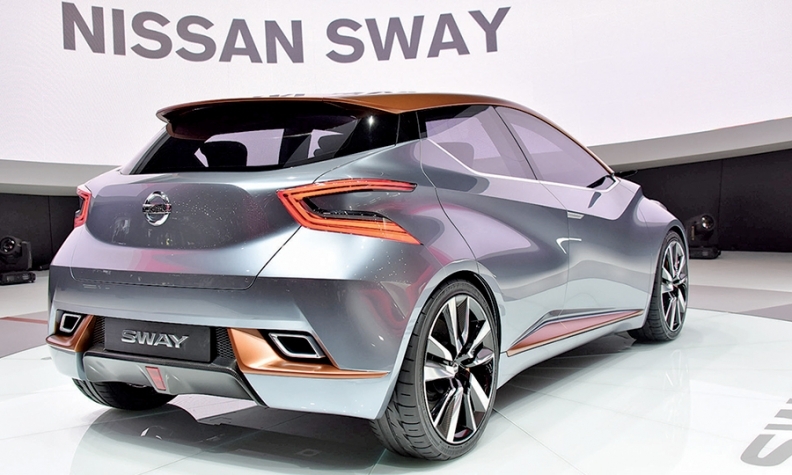 GENEVA -- Nissan's Sway concept, unveiled this month at the Geneva auto show, illustrates Nissan's vision of a subcompact hatchback -- even in the United States. The Sway features a panoramic floating roof, an aggressive and sporty wedgelike front end, and a back end that nearly crosses the line into crossover status. Says Nissan global design chief Shiro Nakamura: "Think of it as almost a small Murano." 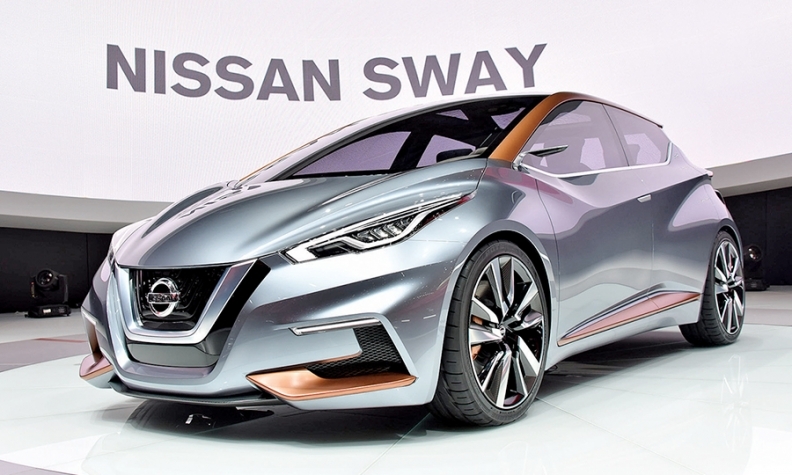 Despite Nissan's focus on European styling and the European market in presenting the concept in Geneva, Nakamura says the Sway indicates what a Nissan subcompact hatch could look like whatever name it uses and wherever it appears. That includes the U.S., he said. The Sway sits on a 101.8-inch wheelbase, is 157.9 inches long and 70.0 inches wide. That is slightly shorter than Nissan's current U.S. B-segment hatch, the Versa Note, which has a 102.4-inch wheelbase and is 163.0 inches long and 66.7 inches wide. The Note has been successful for U.S. retailers since it appeared in mid-2013, and is likely due for a redesign as a 2018 model. But Nissan has been pulling the hatchback Note away from the Versa sedan in styling and marketing. Planners have hinted that the model eventually will drop the "Versa" part of its name altogether, giving the Note a separate identity from the entry-level sedan.